Over 2,500 Florida amateur athletes will be in action this weekend at three events of the 2018 Sunshine State Games. Athletes will be on the ice in Pasco County, on the fields in Broward County and on the courts of Alachua County. Florida Hospital Center Ice hosts the 32nd Annual Sunshine State Games Figure Skating Championships, Friday, May 18 through Sunday, May 20. Over 300 skaters ranging in age from three years old to nearly 60 years old will lace up their skates for three days of competition. The 2018 Championships will be the first time the event has been held at the Wesley Chapel facility and it is only the fourth ice skating venue to host the event in 32 years of competition. Previous sites have been The Lakeland Center, the Florida Panthers IceDen in Broward County and the Ellenton Ice and Sports Complex, in Manatee County. The action begins on all three days at 9AM and concludes at 5:30 on Friday, 7:45 on Saturday and 2:30 on Sunday. Check http://www.flasports.com/ssg-figure-skating/ for a detailed schedule of events. All Sunshine State Games events are free of charge and spectators are encouraged to attend. Among the more than 300 skaters on the ice will be the reigning Dorothy Dodson Award for Figure Skating Excellence and Betty Stark Award Winners. Haley Scott, now a resident of Wesley Chapel, who won the 2017 Dorothy Dodson Award, winning gold medals in the Intermediate Ladies Short Program and Intermediate Ladies Free Skate, returns to the SSG Championships to skate in the Novice Free Skate and Short Program events. She earned the 2016 Betty Stark Award as the top SSG Juvenile Skater. The 2017 Betty Stark Award for Juvenile Girls winner Deana Torgashev, of Coral Springs, returns for the Juvenile Free Skate event. The SSG Figure Skating event annually draws more than 300 skaters from around the state and is an anticipated event on the yearly figure skating calendar, according to Sport Director Betty Stark, of Coral Springs. The event began with 58 skaters in 1986, according to Stark, who has been the sport director for the duration of Figure Skating in the Sunshine State Games. While skaters range in ages from three years old to nearly 60 years old, the youngest registered skater is three-year old Izabella Graves, from Fort Stewart, Georgia. The majority of Sunshine State Games figure skaters are between the ages of three and 18 with only 23 skaters of the 302 registered being 18-years old and above. 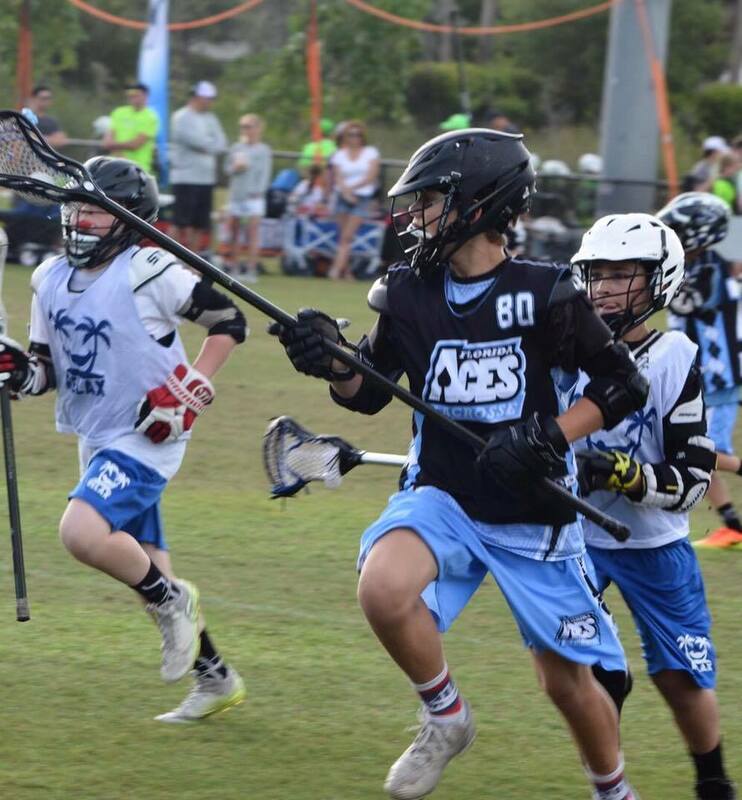 Across the state in Broward County, a total of 118 Lacrosse teams will be in action at the 2018 SSG Lacrosse Championships at Pine Trails Park, in Parkland and Logger’s Run Park, in Boca Raton. The high school divisions account for almost half of the teams with 22 boy’s teams registered in three divisions and 24 girl’s teams playing in two high school divisions. “From top to bottom age groups, the best teams and the best players in the state will be playing in the Sunshine State Games Lacrosse Championships in Broward County,” said SSG Lacrosse Sports Director, Bo Lamon, of Coconut Creek, now in his fifth year in the role. Lamon also noted the Sunshine State Games Spring Championships is one of largest youth lacrosse tournament in Florida that attracts more than 100 teams. 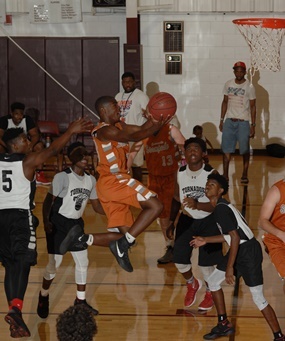 Heading back up to the northern part of the Sunshine State, Alachua County hosts the SSG Basketball Championships with 31 Boy’s Age Group teams playing ranging from 3rd and 4th Grade through High School. Teams will be in action on the courts of the Legacy Park Multipurpose Center and Santa Fe High School, in Alachua, and in Gainesville at St. Francis Catholic Academy and Gainesville High School. Returning to defend their championships from the 2017 Sunshine State Games are the Ormond Beach Bruins, winners of the 4th Grade Division, Gainesville’s Florida Splash Elite, 9th Grade Champions and the 11th Grade gold medalists Northside Pride, from Ocala. CLICK HERE for the full SSG Basketball Schedule and Locations in Alachua County. Registration continues for the remaining sports of the 2018 Sunshine State Games. Competition and registration information for all sports of the 2018 Sunshine State Games can be found at http://www.flasports.com/ssg-sports/. This is the third weekend of events on the 2018 Sunshine State Games calendar. The SSG AAU Super Regional Tournament featured 44 Florida-based Volleyball teams in Fort Myers April and the SSG Dominos Championships were held in February in North Lauderdale. The month of June will be busiest on the Sunshine State Games annual calendar with 16 sports being held in nine different communities each weekend of the month. Visit www.sunshinestategames.com for more information. The Sunshine State Games are presented annually by the Florida Sports Foundation (FSF), the state’s lead sports promotion and development organization, and a division of Enterprise Florida, Inc. The events of this weekend are being held in conjunction with Broward Sports, the Gainesville Sports Commission and Visit Pasco. The Sunshine State Games, an annual amateur sports tradition in Florida, is part of the state’s $57.3 billion sports industry that accounts for 580,000 jobs statewide.